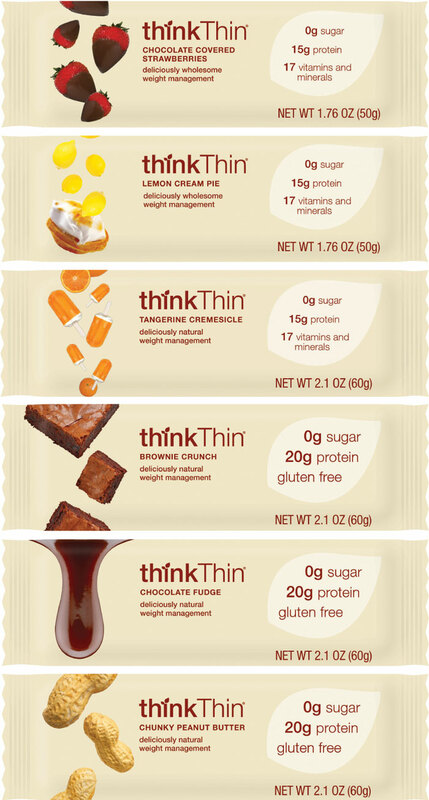 I first incorporated ThinkThin products into my day as a recovery snack after my runs. I am an outdoor runner and love to find new trails and neighbourhoods to explore. Of course, it is important to feed my muscles after I finish 6 or 8 miles. 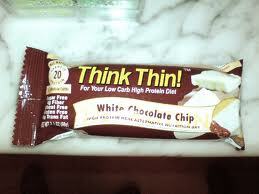 I wished and hoped there would be a gf protein bar and when I discovered ThinkThin I was so happy! I could stuff it in my running bag and was never without a rewarding and beneficial snack. I also use it as a law student -- a pick me up during long study sessions. I also freeze cut up pieces and then add them into Greek yogurt for a ridiculously yummy and healthy dessert! I'd like to see ThinkThin introduce a cranberry or pomegranate with nuts flavor :) *Thanks* for the giveaway! My favorite is the thinkThin Chocolate Covered Strawberries Protein Bar. I haven't tried ThinkThin yet, but I'm always on the lookout for good low calorie/low fat bars to help me prevent excessive snacking. ThinkThin needs a jolt of java into their flavors - I say Espresso Chunk: a rich coffee flavored bar with nibs of dark chocolate. My favorite flavor currently is Crunchy Peanutbutter, and these bars are a lifesaver for me when I need a meal on the go. They're actually satisfying and I feel like I'm getting wholesome, assuredly gluten-free nutrition. I would love to see an Oatmeal Raisin. My favorite is the Chocolate Covered Strawberry. I usually eat one late afternoon about an hour before I hit the gym. A chocolate and raspberry flavor would be awesome. I love the brownie crunch. I had a business trip yesterday and brought four bars with me because they're so easy to eat when traveling.